Many uranium deposits in South America contain other commodities of value, creating by-product potential that bolsters the economics of the deposits and provides exposure to a basket of other commodities – a natural hedge. The continent is bound by a few languages, a single religion and well educated people. Africa & South America were once the same land-mass before the Atlantic Ocean opened by continental drift. 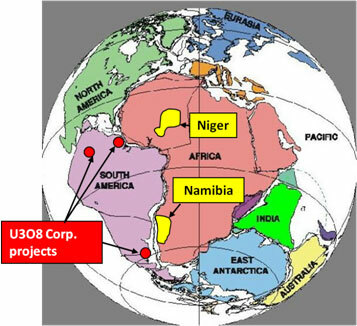 Africa produces 18% of the world’s uranium, while South America produces next to nothing from a very similar geological environment. There is no geological reason that South America shouldn’t have a similar uranium endowment to Africa – so there’s an exploration arbitrage opportunity. The vast majority of South America is bound by two similar languages, Spanish and Portuguese. The region shares a common religion, Catholicism – an entire continent in which the risk of religious fundamentalism is negligible in contrast to other parts of the world that are being torn apart by different factions. South America has a well educated population, high literacy rates, and with some conspicuous exceptions, very well managed economies. Contrary to common perceptions, levels of sovereign debt are manageable – if fact they are far lower than those of the G7 countries and China. According to the USA Census Bureau, 925 million people worldwide, or 1 in 7, are currently suffering from chronic hunger. The UN’s Food Agriculture Organization estimates that world grain production will have to increase by about 50% while meat production will have to double by 2050 in order to feed the world’s growing population whose diets are changing as a result of urbanization that is taking place at an astonishing rate of 1.3 million people per week. Meeting this challenge to produce more food requires higher production from the land through greater use of fertilizers containing nitrogen, phosphate and potash, more intense crop-growing practices, as well as increasing the area under cultivation. Some estimates indicate that another 120 million hectares, nearly 300 million acres, need to be cultivated worldwide to achieve this target. South America is already an agricultural powerhouse – and has room to grow. South America produces 11% of the world’s food, by value, but it has almost a quarter of the world’s (24%) arable land coupled, critically, with vast freshwater resources. The UN Food and Agriculture Organization states that South America has 29% of world’s annual renewable fresh water on only 13% of the world’s land surface. The Economist reports that Brazil, alone, with a population of 190 million, has the same amount of renewable fresh water as the whole of Asia that has a population of 4 billion. This natural endowment provides South America with the potential to provide much more of the world’s food – a challenge that the continent is taking up. Quoting Argentina’s president Macri, there is the opportunity for the region to grow from being the breadbasket of the world to being the “supermarket” of the world. Nuclear user. One of the region’s largest nuclear users with two reactors generating 7% of the country’s electricity, a third reactor due for completion by the end of 2010, and a fourth planned. Mining history. 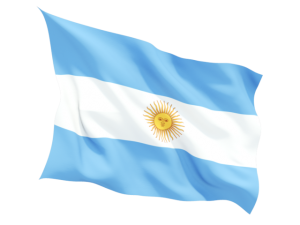 Historic production of over five million pounds of uranium in Argentina was from seven mines. CNEA plans to restart the Sierra Pintada mine in Mendoza Province and has been drilling at Cerro Solo in Chubut Province to evaluate the resource for production. The State program and the drafting of a new provincial mining policy are promising indications that the current open pit mining ban in Chubut may be lifted in the near future. With a near-resource project at Laguna Salada and strategic land holdings in proximity to the State-owned Cerro Solo deposit in Chubut, U3O8 Corp. is poised to capitalize on this expected positive legislative change. Geologically prospective. 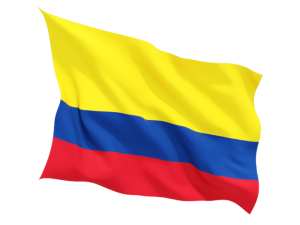 While Colombia has substantial oil reserves and is a major producer of other metals, the country has been significantly under-explored for uranium. Mining-friendly jurisdiction. Colombia was named the most improved mining jurisdiction in Latin America (Fraser Institute Annual Mining Survey 2008/09). The State is fostering the development of a strong private sector mining industry. Geologically prospective. Situated on the mineral rich Guyana Shield, Guyana has attracted the world’s largest mining companies and is known for its undeveloped resources including bauxite, copper, gold and uranium. Mining-friendly regime. Guyana has an established mining regime governed by the Guyana Geology and Mines Commission, which promotes foreign investment and mineral development in Guyana. The development of the country’s mineral resources is a key economic growth strategy. British Commonwealth. 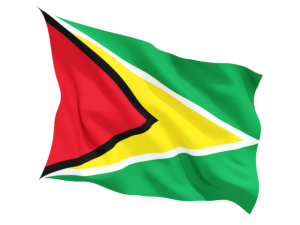 Guyana is an English-speaking country and a stable republic within the British Commonwealth with an elected Head of State.